Water in ear can give you the feeling as if you are hearing from bottom of a well. You may have muffled sounds and your ear may feel full. Maybe the water got in your ears while you are swimming or if you tilted your head in a wrong way while showering. Water in ear is really annoying and can result to infection or swimmer’s ear if the water is dirty. However, getting rid of water in the ear is possible but it should be done right away after getting out of the water. Water in ear can really bring discomfort and it is not a big problem. How do you get water out of your ear? Here are some remedies how to get water out of ear. 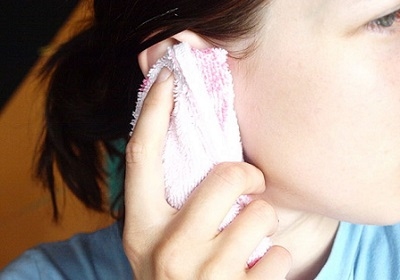 Clean your outer ear slowly by wiping it with a clean cloth or soft towel to remove some of the water. You can tilt your ear down to the cloth. 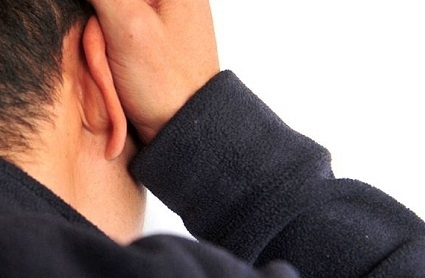 Avoid pushing the cloth inside the ear because you may be pushing the water further back into the ear. This is to remove water in ear is to stand on one foot and tilt the head to the side with the affected ear facing the ground. Try hopping one foot to remove the water out. Tugging the earlobe to open the canal wider can also aid in draining the water out. You can also lie down on the side with the ear facing down. Stay in the lying position for a few minutes to let the water out. Let the affected ear face down on the palm, use the palm to push in and out until the water starts to come out. This can create suction like vacuum which will draw the water out from the ear towards the hand. However, do not do this, if the ear faces upwards because you may drive the water back to the canal. Some people are skeptics when using a blow dryer to drain the ears, but it is effective in some people. To use a blow dryer, put the dryer on the lowest heat or even on cool and hold it at least 30 centimeters away from the head. Blow the blow dryer until you feel the water is draining from the ears. 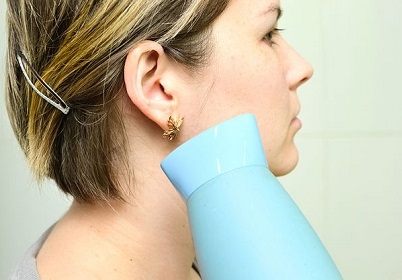 Avoid using the blow dryer too close or too warm in your ears to avoid burning yourself. 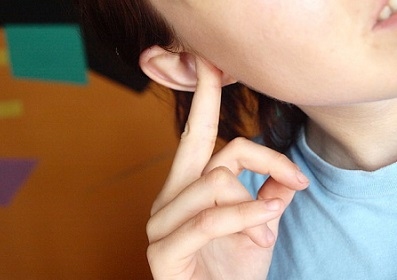 You can use over the counter eardrops to remove water in your ears. These over the counter eardrops that are sold in pharmacy stores often contain alcohol which can evaporate fast. Add these drops to the ear as needed and tilt the ear down to drain the affected ear. You can ask the help of another adult to di this. To remove water in ear, you can use a homemade solution of half white vinegar and half rubbing alcohol. Aside from removing the water, the mixture can also aid in preventing any infection. 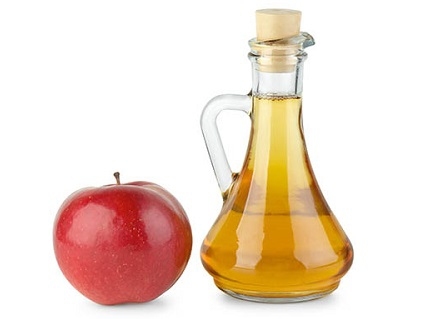 For this, simply combine 50% white vinegar and 50% rubbing alcohol, then, drop several drops of the mixture to the affected ear to drain the water out. Chewing some gum can aid in dislodging some water in ear. The water in the ear is stuck in the eustachian tubes which are part of the inner ear and chewing some gum can aid in freeing it up. Aside from chewing, yawning can sometimes pop the “bubble” of water intside the ear and free the eustachian tube. If you feel a “pop” or water shifting, it means that yawning has a positive effect. Perform the valsalva maneuver to aid in popping the ears and open the eustachian tubes to get rid of the water. To do this, close the mouth, squeeze the nostrils with your fingers, take a deep breath and blow air out of the nose to regulate air pressure. When performed correctly, you can hear a slight popping sound, a sign that eustachian tubes are open. Using steam is another easy way to push water in ear out. 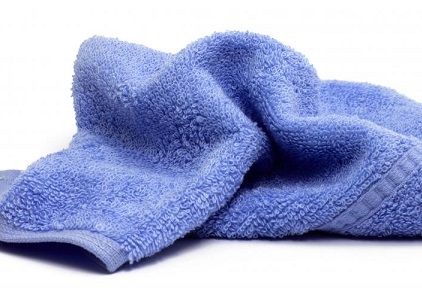 To use, simply place steaming water in a large bowl, cover your head with a clean towel and inhale the steam slowly. Do this for 5-10 minutes. Tilt the head to one side and the water will begin coming out of your ear. 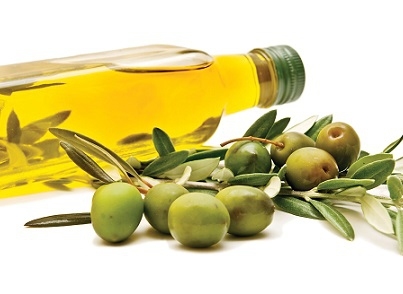 Olive oil is a good remedy to drain fluid trapped inside the ear. Olive oil has antiseptic properties which reduce the risk of infection. Warm some olive oil in a clean bowl. Use an ear dropper to put some drops of warm olive oil in the ear. Let the olive oil stay in the ears for 10 minutes. Then, tilt the head sideways and remove the oil as well as the trapped water by a soft ear bud.